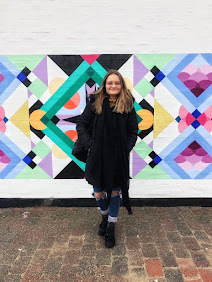 Sophie and I headed down to Cafe Chambers, which is in the Kings Mile in Canterbury. Neither of us had been before, but are always trying to make the most of Canterbury before we leave, so we went! 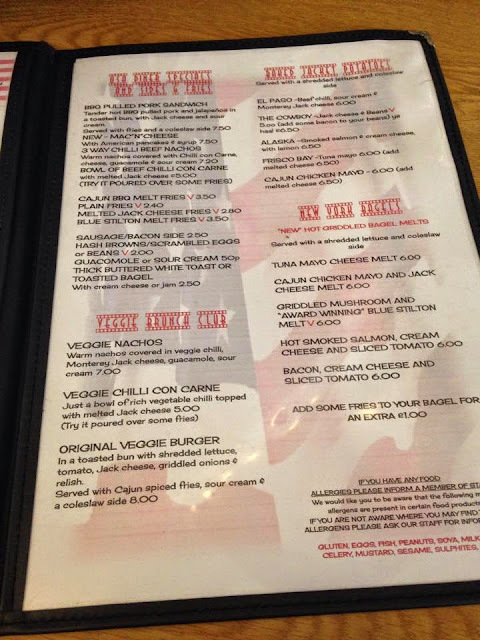 I'd heard really good reviews of this place before, and we definitely weren't dissapointed. 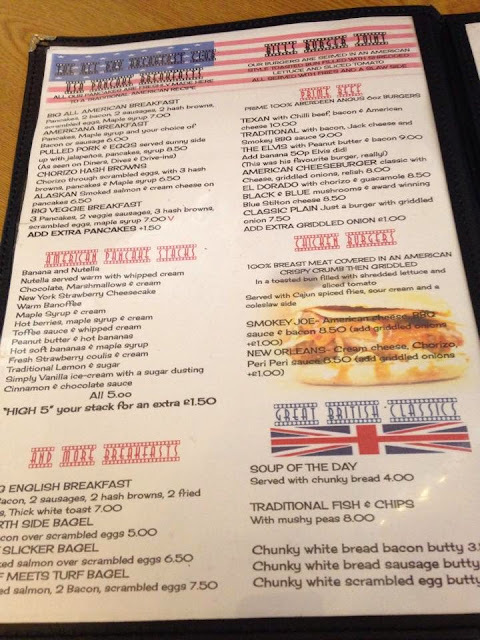 I was actually surprised by the wide variety of different things on the menus - they had everything from pancakes, to brownies, to burgers! My kind of place. 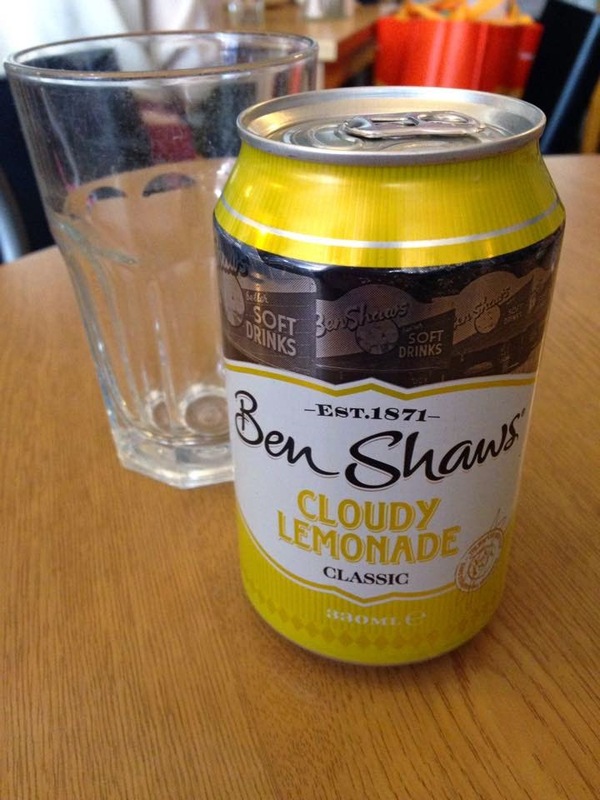 However, we started off with Cloudy Lemonades whilst we perused the menu trying to decide what to have. I chose to have the Americano pancakes, without maple syrup, and Sophie chose the pancakes with Hot berries, maple syrup and cream which looked delicious. Both us had been thinking about pancakes all morning because we knew this was definitely something they served there so pancakes were the obvious choice! I'll try a burger next time I think, they looked great. 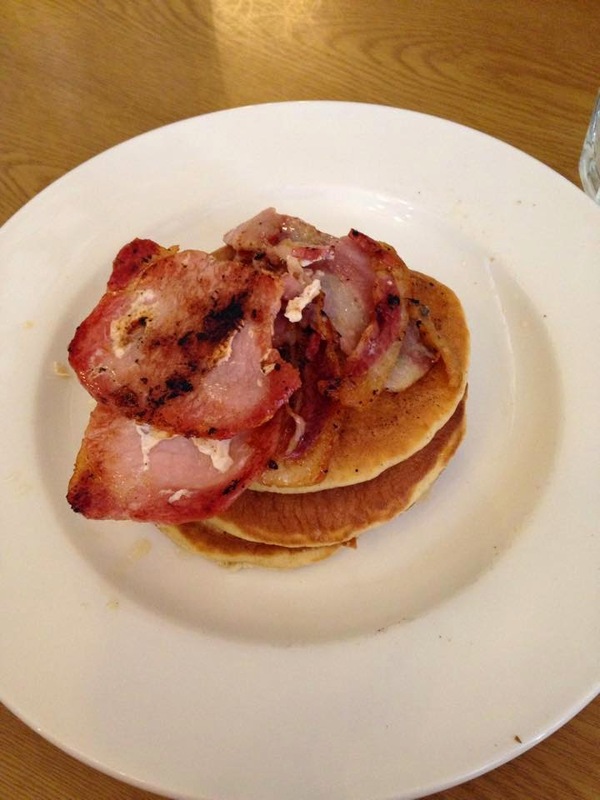 When the pancakes came out it was even more obvious we had made the right decision. They looked amazing! Eating them was even better. I loved the sweetness and fluffy american style pancakes with the perfectly cooked bacon! So yummy. I love a savoury pancake. 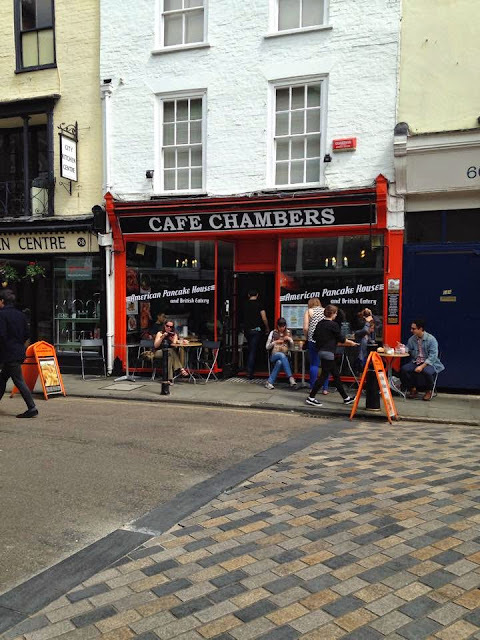 I was so impressed by Cafe Chambers, and only wish I'd found it sooner. Luckily, Dan hasn't been yet so its the perfect excuse to get back to our university city to explore more. Do you like savoury pancakes? Have you ever been to Cafe Chambers? This looks like a really nice place! 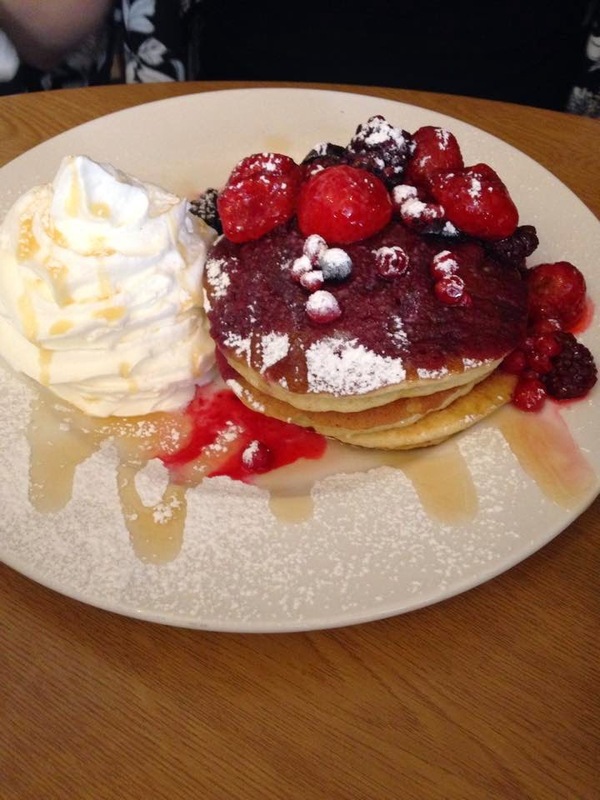 I'm not one for savour pancakes, but the ones with berries, cream and syrup look divine.